March 16, 2015 - Boeing was notified today that the International Association of Machinists & Aerospace Workers (IAM) today filed a petition with the National Labor Relations Board (NLRB) to hold an election for more than 2,400 production employees at the Boeing Company in North Charleston, SC. International Association of Machinists (IAM) union has petitioned the National Labor Relations Board (NLRB) for a union election at the company's North Charleston, S.C., facilities. The petition was filed after a significant number of Boeing workers signed authorization cards expressing interest in union representation. Workers at Boeing had reached out to the IAM regarding numerous workplace concerns, including forced overtime, fair wages and a lack of respect on the shop floor. "We're trying to build a better life for ourselves, our families and our community," said four-year Boeing employee Gerald Guerena. "We feel the best way to do this is with a collective bargaining agreement that allows us to negotiate with the company over wages, benefits, safety procedures and more." Efforts by Boeing workers to form a union have already been met with stiff resistance from Boeing management and outside political forces looking to advance their own agendas. South Carolina Governor Nikki Haley recently used her State of the State address to attack the IAM and the Boeing workers who are seeking union representation. "Boeing workers have a legal right to an election process that is free of intimidation and harassment," said IAM lead organizer Mike Evans. "This is their decision and their decision alone. We expect Governor Haley and her friends, who have no clue what it's like to be a front-line production employee for Boeing, to keep their personal biases to themselves and remain neutral in the weeks leading up to the union vote." Beverly Wyse, Boeing South Carolina's newly appointed vice president and general manager said "Boeing South Carolina teammates have done what so many people said couldn't be done. And they did it by working together, engaging every day, and truly committing themselves to the success of our site. "And let's be really clear, the IAM was not part of this success, it was our BSC teammates. In fact, the IAM aggressively opposed it, as publicly demonstrated by their filing of a claim with the National Labor Relations Board, to try to keep our site from even opening. Now, simply by filing this petition, the same union that tried to take our jobs and our work, has already begun to divide our team at a time when we're just beginning to gel and catch a solid rhythm in production." 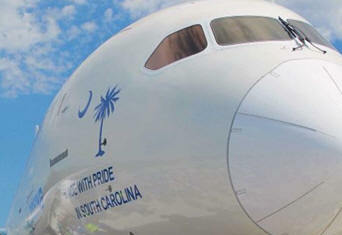 Boeing firmly believes that a union is not in the best interest of Boeing South Carolina teammates and their families, their communities, and the state of South Carolina, especially after years of the IAM insulting the abilities of Boeing South Carolina teammates and fighting against BSC's success. "We think our Boeing South Carolina teammates deserve to pave their own future and keep their hard-earned money in their own pockets," said Wyse. "In fact, they've been very successful doing just that for the past five years. They've built not only new airplanes, but also a new site, and new opportunities for an incredible future here in South Carolina by working together as a team, without the distractions of a union. We're extremely proud of what our teammates have accomplished."